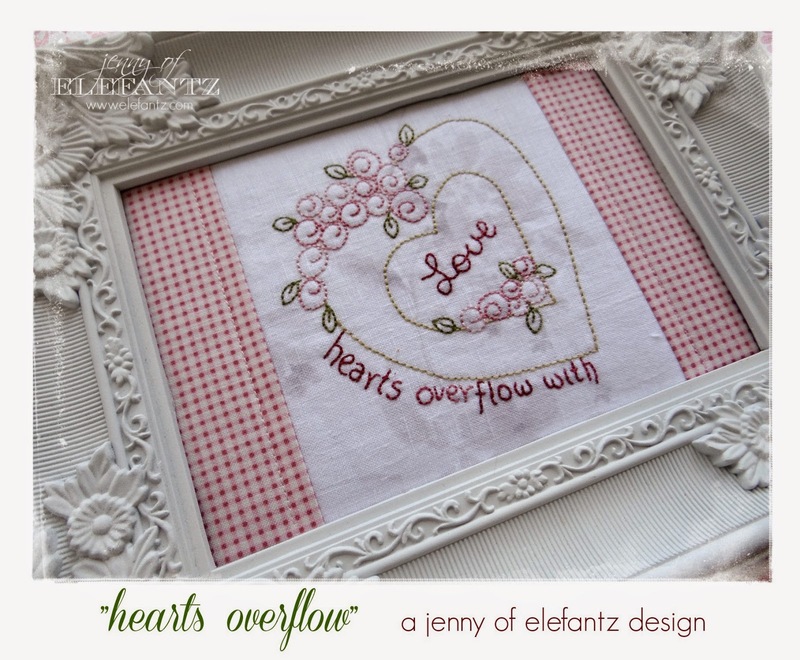 Jenny of ELEFANTZ: The 7th gift for you! The 7th gift for you! 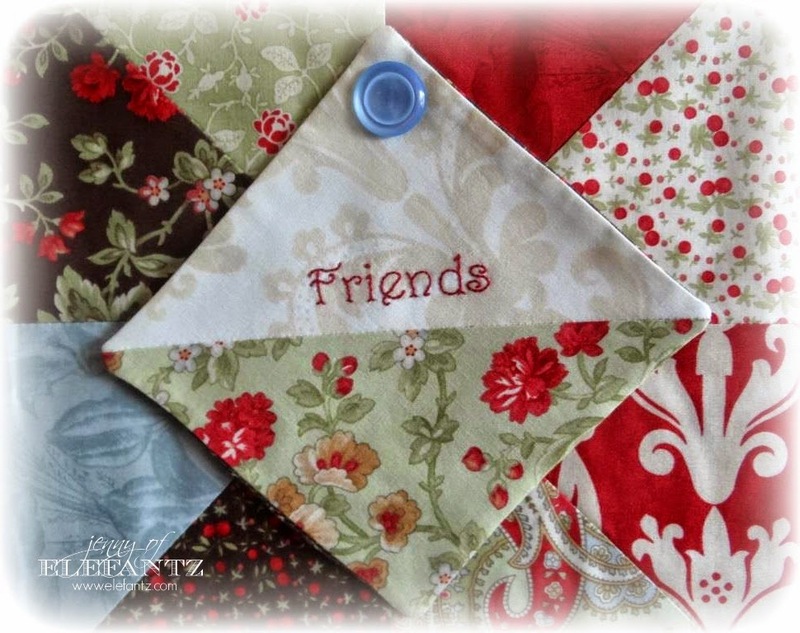 I designed the "Christmas Memories" quilt to be a perpetual record of who has shared your Christmas table each year. 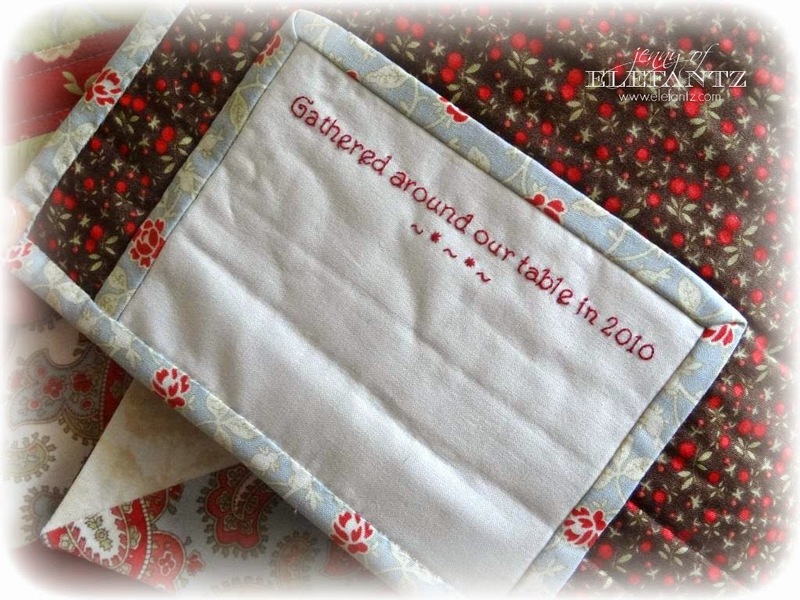 There is a simple label that can be re-stitched again as the years roll, so that those gathered around your table each Christmas can sign it and leave their memories. 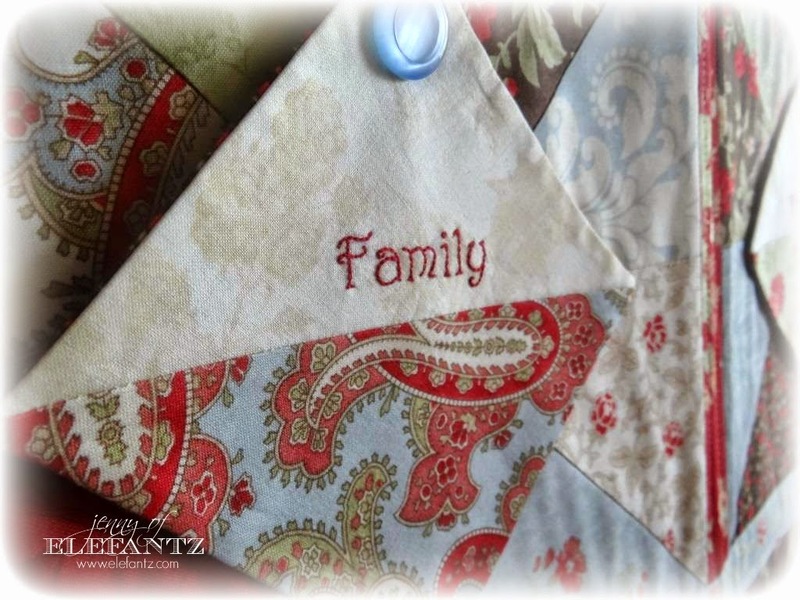 Over the years your Christmas Memories quilt will carry a story of Christmases past. 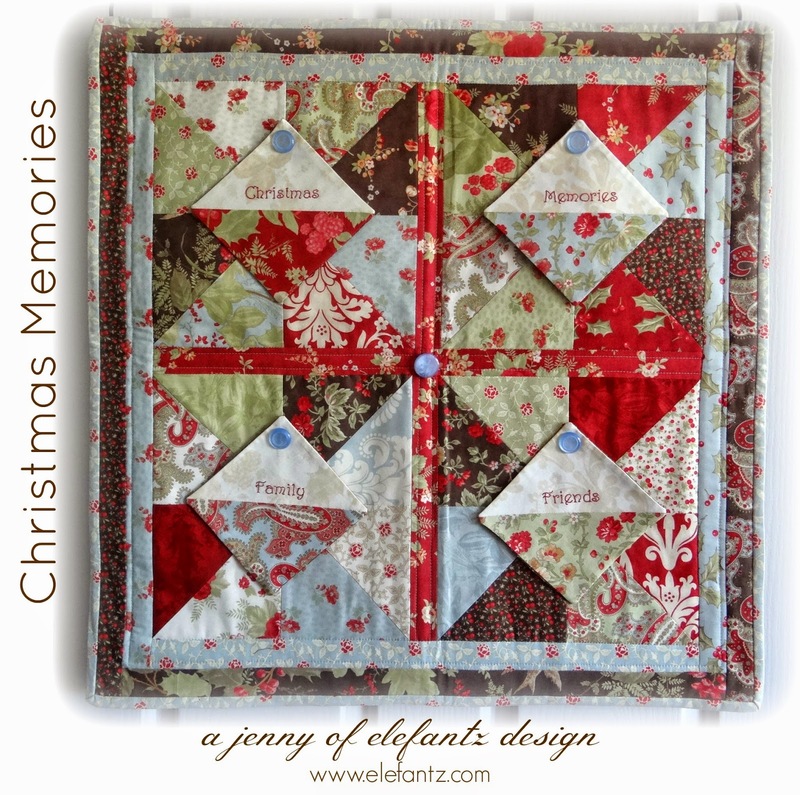 "Christmas Memories" is a free download HERE until December 10th. Sharing 7 gifts this past week has left me quite worn out and probably in need of a large mug (or two!) of eggnog, but you know, it's been so much fun! Have you enjoyed your Elefantz presents? I cried when I opened the wrapping to find this sweet little angel ornament inside. Perhaps we don't realise how emotionally drained we are until someone reaches out and gives to us? I'm taking a breather from blogging for a few days, maybe a week, and will probably sit back and enjoy some quiet time with a good book, fresh fruit salads, beach walks with my beloved Mr E, and long cool glasses of ginger beer. Yes, I think that's exactly what I'll do. 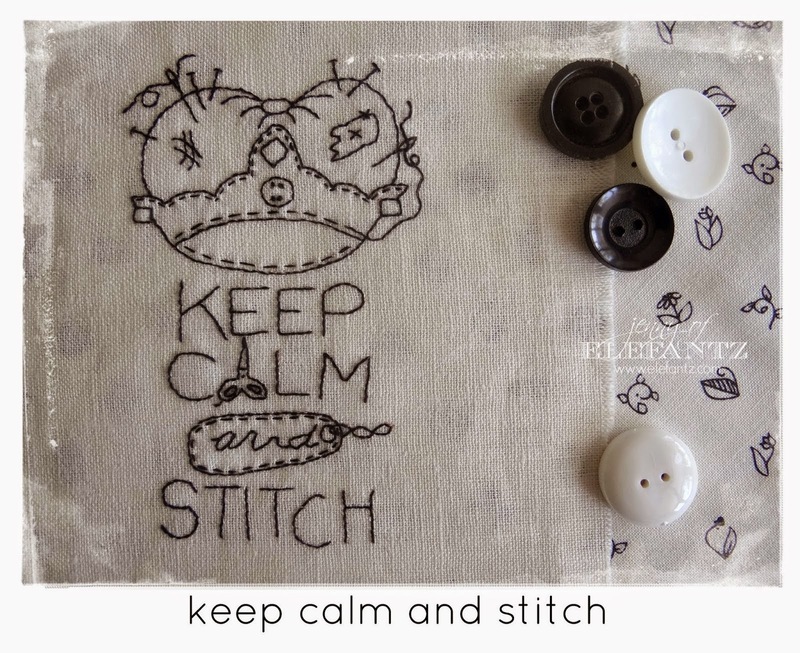 I'll share all the Stitchery Club photos for month 3 today, and if you'd like to subscribe you can head over HERE and do so...you have until the 16th of December to subscribe in time to receive this set of patterns. 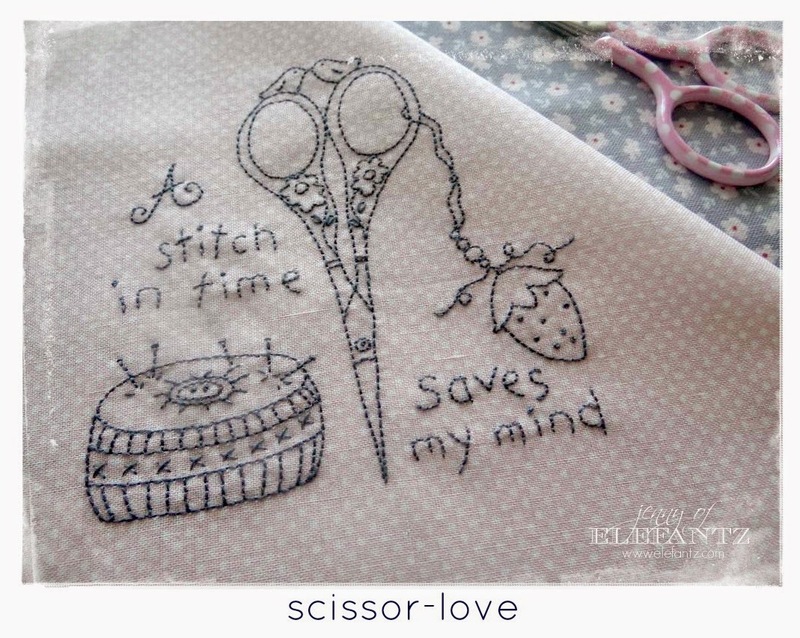 I think they are sweetest Stitchery Club designs so far! 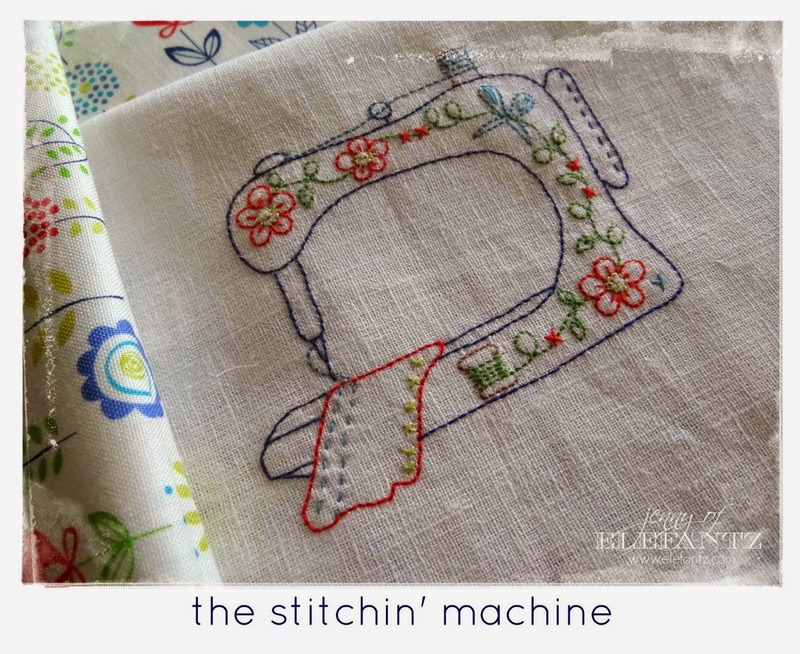 BONUS: become a subscriber and receive this free pattern to stitch while you await your Stitchery Club arrival on the 17th! Hi Jenny, thanks SO much for the beautiful & amazing 7 days of gifts you have shared with us all this past week. It amazes me always how generous & kind you are & your work is always such a source of endless inspiration. I hope you find some strength & renewal in your blogging break during the coming week & all yours & our prayers are answered for work for Mr E.
Hi, Jenny - you've been a busy gal. Take time for yourself and your family - sit back, relax and smile. Your talents have brightened the lives of so many. Thank you so much for your generosity and kindness in sharing these gifts. I hope the coming week restores you and lifts you up. Best wishes. You know how I love your birds! You deserve the break. You go have a little spiritual retreat with Mr. E, and find out what the plan is. I know there is one! Thank you so much for your 7 days of gifts. I'll be praying for you every day. Thank you for all of the wonderful gifts this past 7 days. I hope you and Mr.E get some well deserved rest. Prayers going your way. freue mich riesig wenn Du wieder zurück bist. Ich wünsche Dir und Deiner Familie ein gesegnetes Weihnachtsfest und a Happy New Jear !!! DANKE DANKE DANKE. Nun fehlt mir nur der tägliche KLICK auf JENNY of ELEFANTZ hihihi smile !!! Querida Jeenny: Yo conozco muy poco inglés. Por eso hoy prefiero escribirte en Español. Quiero decirte : gracias por todas las cosas bonitas que nos regalas. Y también te digo que mis oraciones están contigo y con tu familia. Deseo que tu mudanza sea para que vosotros tengáis toda la felicidad del mundo. Muchos besos. Thank you for sharing of your gifts and talents. I pray you truly renew yourself during the week off. Everyone needs to do this so enjoy and be blest! 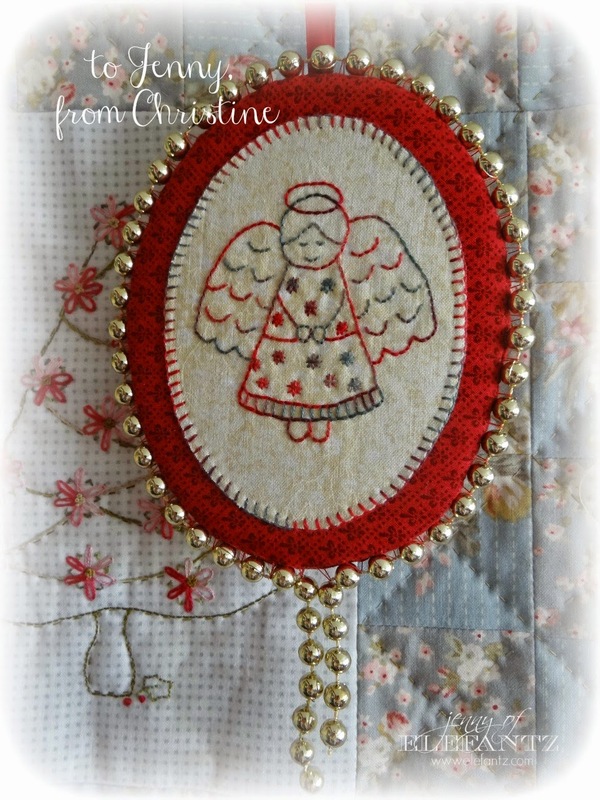 That is so beautiful hon, and I love your sweet angel ornament from Christine - how precious, and timely! You know I'm praying for you and Mr. E, may you be refreshed and uplifted for the break, hon....we all need a break now and then. Jenny thank you so much for all the lovely gifts. You definitely should take a break and enjoy the season. I will think of you and keep you and Mr. E in my prayers. Beautiful, Jenny! 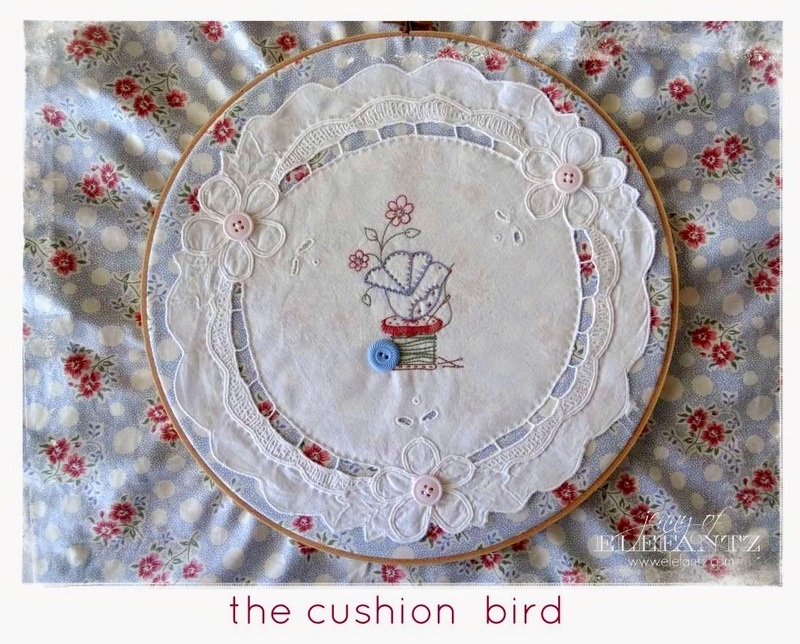 I love the little button bird! Thank you for sharing.